i resisted the grocery pickup bandwagon for as long as i could. i actually enjoy grocery shopping. it's 1-2 hours a week of time that i'm alone yet being super productive, and sometimes finding new treats and fun things in the store while i'm there :) i could probably do our weekly grocery trip at SuperTarget blindfolded and without a list - that's how regular and routine it's become. so when the grocery pick up service started becoming a thing, i wasn't interested. like, at all. i want to pick out my own avocados, thank you very much. so, i thought i'd give it a whirl. my husband and i researched all the services available, their prices, what products they offered, and the pros and cons of each. we tried loading our regular groceries on the different services available in our area. THIS was the most time consuming part of the process - but worth it. 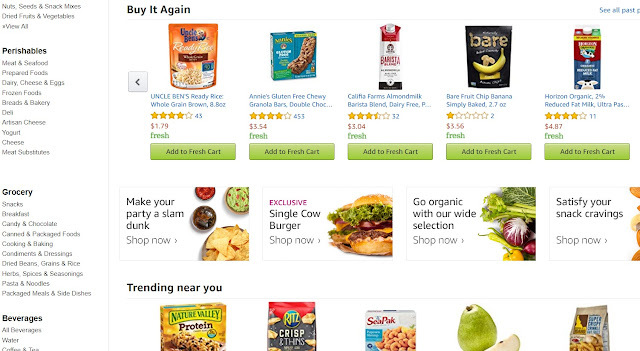 all things thoughtfully and carefully considered, we decided to shop with Amazon Fresh. 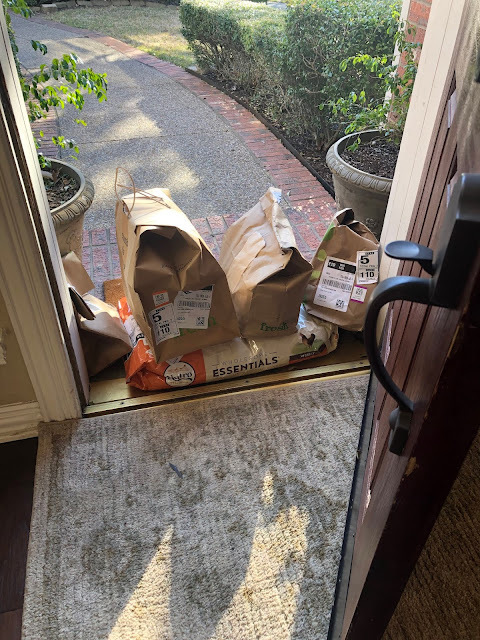 once a week now for the past two months, my groceries are delivered to my front porch from Amazon Fresh. and i love it! they have just about everything we need, really great prices, and free delivery. as we need groceries, i add them to my Amazon Fresh online cart. i place the order on Saturday for delivery on Sunday, usually before 7am! cold/frozen items come bagged together in insulated bags with frozen bottles of water. produce is in separate bags. dry goods are bagged together neatly. easy and fun! 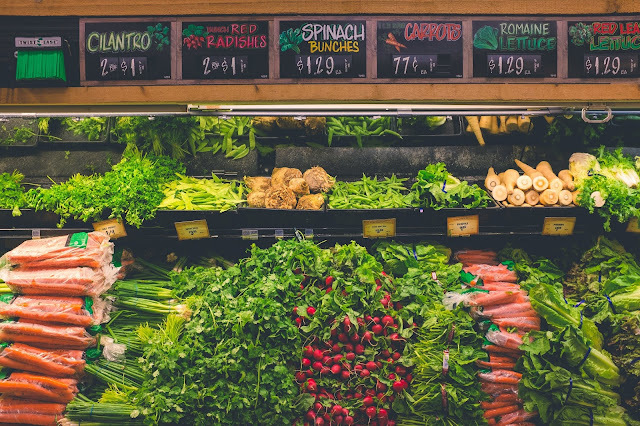 Once Amazon Fresh gets to know my shopping habits and preferences, they offer recommendations, and keep a list of frequently purchased items which makes it really easy to remember to buy the things that i like to keep in stock. i keep a separate list of the specialty things we need that Amazon Fresh doesn't carry. i make ONE trip as needed for non-grocery items (like graph paper, socks, etc.) OR i'll add those to my Amazon Prime cart and place an order as needed. 1) listen to your wise friends when they share their life-changing recommendations with you. this post is 100% my honest opinion and recommendations, and is not sponsored or affiliated with Amazon in any way.